Every industry requires a lot from its packaging, but the bar is set extremely high in cosmetics. This is linked to the high aesthetic expectations of customers, as well as to the required functionality, chemical neutrality and physical durability. 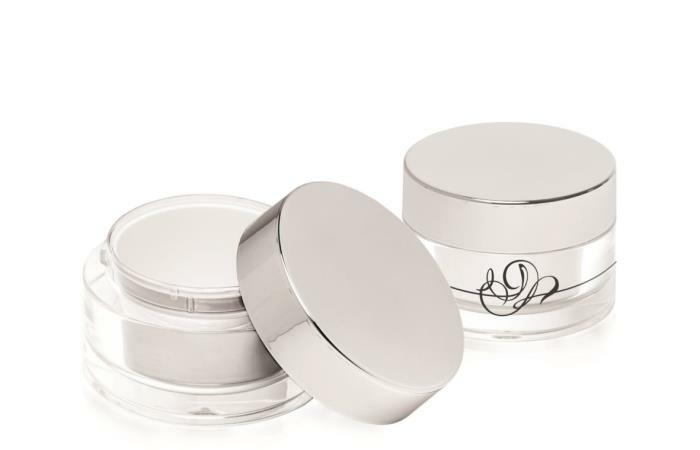 Packaging manufacturers and materials experts have spent years considering which materials are the best choice for white cosmetics packaging. 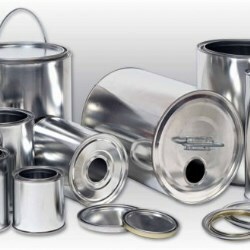 Metal packaging is most common in the food and chemical industries. Tins intended for individual product groups may contain drinks, food, or even paints and varnishes. The main advantage of metal packaging is its mechanical durability. Moreover, metal is relatively easy to process and to lacquer. Unfortunately, one considerable disadvantage of metals is the high thermal conductivity. Rapid heating or cooling may mean that the product contained inside may quickly lose its properties. Another disadvantage is the possibility of a reaction with the products contained in the packaging. Only a few decades ago, glass packaging dominated among drink and perfume bottles. Glass is good at isolating the product within the packaging from external conditions. One of the most commonly mentioned advantages of glass is its chemical neutrality towards the products. 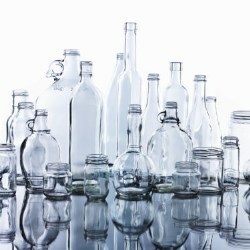 Moreover, glass maintains all its original qualitative parameters after the recycling process. The disadvantages of glass include its fragility. It is a hard material, but it is susceptible to mechanical damage. This means that glass packaging must be provided with additional protection against breakage. Cardboard packing or other protective measures are particularly necessary during transport. Moreover, glass is a heavy material that is cold to the touch. Similarly to glass packaging, wood was highly popular for many years. However, unlike glass, it is making a return to the packaging market. This is due to the trend for organic products and protection given by natural materials. The primary advantages of wood include its very high mechanical durability, as it is neither a fragile nor high-mass material. Wood is warm to the touch and does not conduct electricity. 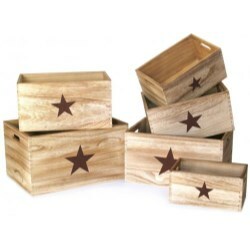 The issue with wooden packaging is its requirement for special protection based on lacquers and impregnants, to prevent it from absorbing moisture. This a disadvantage particularly impedes its use as a material in cosmetics, where manufacturers care that the high quality of the product is maintained for as long as possible. Moreover, wood is flammable and transfers natural odours – such as that of resin. Plastics are highly interesting materials, which have taken the market by storm over the past few decades. Their considerable advantages include their ease of manufacture in various shapes and forms, which means we can achieve unique products. Another advantage of plastics is their sheer multitude, enabling selection of an appropriate material to suit a given project and its requirements. Low densities reduce the packaging weight, to maintain a high durability to mass ratio. Plastic packaging does not conduct electricity and is characterised by high chemical durability. Such products do not require special maintenance and can be used for many years. Surlyn is a very interesting plastic, one which easily competes with wood, glass and metal. It is chemically neutral, unbreakable, warm to the touch, highly durable and can be produced in interesting forms. Moreover, Surlyn is perfect for the cosmetics industry, where full material transparency is often required. Surlyn maintains its clarity even in coloured versions. In addition, the injection points and split lines formed during production are practically invisible. The list of the disadvantages of plastics contains very few points. Their fragility may be increased when exposed to variable temperatures, and they are also slightly less mechanically durable than metal packaging. Work is also ongoing to improve the re-use possibilities of these materials. 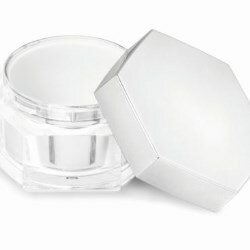 All the presented materials have their pros and cons, but white cosmetics is such a demanding industry that only two of them are used for its products. Glass and plastics appear to be the best choices for the production of cream jars. Thus far, the market has been dominated by glass, but now thanks to the numerous advantages of Surlyn and other artificial components this situation is slowly changing. Customers value safety and product security during transport, as well as lightness. The aesthetics are improved by Surlyn’s transparency, and to the touch this material is very warm and pleasant. The belief that in the past people did not dream about having luxury goods and products made by “known brands” is certainly mistaken. The wealthy often boasted about having fabrics imported from India, perfumes from France, or suits sewn by the best tailors. All kinds of such luxuries were, however, reserved only for the richest social groups. Politech offers standardised products such as caps for perfume bottles, rings and jars for cosmetics. Every item and even individual parts of the items may be ornamented using the following methods: vacuum metal coating, UV varnishing, hot-stamping or full body colouring. Other options available: matt finish, glitter or pearl effect. That way, the range of possibilities is really huge and if we sold stock products, it would hamper the imagination of our customers and limit our development. Perfumes perfectly complement our personality and look, make us more courageous and catch the attention of those around us. They give us that special something that makes us stand out, that sets us apart. Good perfume is pricey, and if we want to spend a specific amount on it we should make a choice that we will not regret and that will have a positive effect on how we are perceived by others. Trends in different sectors of trade and life in the 21st century are changing ever more rapidly, leaving consumers trying to keep up. Of course, those companies that move with the times and quickly adjust their products to trendy colours, patterns, textures, scents, and most importantly, consumer behaviours, expectations and experiences, benefit from doing so. At some time or other we have all taken something in our hand, only to discard it as tacky, shoddy or too simplistic for our tastes. The same applies to the packaging used for cosmetics, or its parts. Heavy packaging with thicker walls is considered sturdy and more luxurious by customers. Winter cosmetics – How can they protect the skin? Although many people still prefer to use one product for all seasons and situations, the more we become aware of the changing needs of our bodies, the less we tend to stick to that single choice. The appearance of any packaging plays a key role in the shopping process for the customer. What is more, consumer decisions are made in several dozen seconds, with only a few being spent on looking at a single product. The process of ensuring that our goods are the ones that attract the eye of the customer for longer begin with the development of the packaging. When, at the beginning of the 20th century, someone managed to travel to the United States, it seemed as if they had touched the edge of heaven. In the post-war years of communism, it was no easier to leave the country, and the things brought from across the ocean were becoming a kind of artefacts. The ethylene ionomer with a trade name “Surlyn” was developed as early as in the 1960s. However, almost 60 years on the market did not make it obsolete. More and more industries have noticed the advantages of this material and use it in a very creative way. Marketing descriptions of perfumes - Can words express a scent? Relaxation cosmetics - A new type of cosmetic? Consumers work increasingly longer hours and live in a much greater rush than ever before, hence their longing for a moment’s respite that would allow them to focus on themselves and regenerate their tired mind and body. Massage, spa, beauty and wellness parlours are capitalising on this need. What does the packaging say about the value of a product? It might seem that product packaging always corresponds to the value of the commodity. In reality, however, form often alludes to the taste, smell or composition of the product or to abstract values rather than to the actual quality of the content. How to properly select the packaging for a product so as not to let down the expectations of consumers? Instant Beauty - What is it all about and how can you use it? Although Slow Life continues to be one of the most influential trends in the consumer market, there is also a large group of people who have a different approach to life. This group of consumers chooses cosmetics with great care, assessing their composition. They also have certain requirements related to life in a constant hurry. Instant Beauty expects quick results, 3-in-1 cosmetics, and products combining care cosmetics with colour cosmetics. 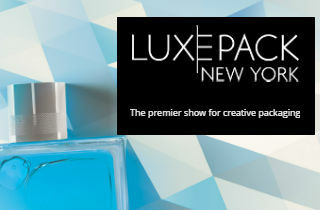 Sophistication, sensuality, luxury, beautiful scents and chic. Why is it that France is associated with these values? Why is it that French perfume is also associated with these qualities? Is it because of the unique plants and climate, which influences the locally-grown perfume ingredients? Perhaps it is so because the French have the best “noses” in the world? Perhaps there used to be real reasons for this, but the advantage of French perfume today only extends to marketing? The cosmetic market is one of the fastest growing industries in the world. The pace of growth is set by Asia, generating up to 35% sales in this market segment. Global cosmetic sales have been increasing by 6–7% annually thanks to the rising level of hygiene standards and growing consumer awareness, accompanied by increased distribution. Do these ingredients really work magic? Customers are ready to test almost every novelty in the hope of finding a product to satisfy their needs. On the other hand, producers are looking for recipes targeted at the most demanding consumers. For thousands of years, the beauty industry has been looking for ‘miraculous’ ingredients. This is not the first time we have focused on the importance of colour in our articles, including those we publish in the industry press. This time, however, we would like to delve into the relations between colours and particular cultures. The history of perfume involves more than stories about ancient incense and associated rituals, or the most well-known fashion brands and French manufacturers from Grasse, where tons of flower petals and herbs were transformed into perfume. Unfortunately, it is also a story of filth, stench and very strong aromatic oils, the purpose of the latter being to mask the other, less pleasant smells. One of the biggest ecological conflicts of our time concerns polymeric materials. We are surrounded by plastics and a lot of them stay with us longer than we would like. The dispute regarding plastic waste continues, and it is their producers who are often blamed for it. Should they be? Targeting, choosing the target group, and looking for a product niche refers to one particular issue. In order to really understand those terms, it is worth describing them using a specific example, such as cosmetics for teenagers. While creating a new cosmetic line, a company should accurately identify the recipients of their products and select the proper means of communicating with this group. After years of collaboration, relations between business partners begin to look routine. However, Politech is curious about the world and eagerly discusses issues related to cooperating companies. This is why we decided to conduct a short interview with Monika Kosmala-Sójka, Sales and Marketing Manager in HEINZ-GLAS Działdowo. Perfumes are designed to captivate with their scent; however, we have known for a while now that we often judge them by their packaging, even before smelling them. Perfume brands have been trying to reach their clients by changing the visual forms of their perfumes, using different methods. Newspaper ads, billboards and TV commercials are just a part of it. Sometimes we may see perfumes in films. Is their presence on the silver screen accidental? When creating a series for babies, cosmetics producers seem to have reached fertile ground. Parents willingly use protective products for their children in order to ensure proper development without any skin problems. Caretakers are, however, a more and more aware target group and their requirements of products are still growing. The question is, is it worth entering the market of cosmetics for babies? How to redesign your packaging? The preferences of consumers change as quickly as anything in the world around us. Consumer trends can no longer be divided into decades but rather single years, and, in certain industries, even by season. So it is no wonder that companies that are trying to keep up choose rebranding, or at least the gradual revival of their packaging design. The first thing that comes to mind when we hear the word perfume, is applying a fragrance to our body, usually as a spray, in order to smell unique. The purpose of this ritual is to improve our overall appearance, mood and sense of self-esteem. Specialised packaging – How broad is the term? Some substances require a little more attention than others. The reasons are varied. Sometimes a specific temperature must be maintained, on other occasions greater container strength is needed. At other times, the shape must be specially adapted to the form of the material carried inside, while sometimes not only is product safety of concern, but also that of people in its vicinity – as is the case with hazardous agents. One of the hottest trends of the last few decades… More than just fashion… It is a lifestyle whose fundamental rule is to “minimise cruelty”. A radical type of vegetarianism. Of course we are talking about veganism, which is rapidly changing more and more industries. The sense of touch is vastly underestimated, and yet its receptors are found on almost the entire human body. By touching, we can distinguish temperature, shape, pain and texture. The importance of this sense is evidenced, for example, by Harry Harlow’s research from the 1960s. Many people cannot imagine their life without social media, and it has also become an important part of the marketing strategy employed by big companies. Being present on social media involves increasing the prominence of web pages, reaching different groups of recipients using particular distribution channels and improving the image of a company. Manufacturers and service providers have always used the senses to attract customers. However, these solutions have not been analysed and studied extensively enough to present their real value. Using the senses in order to trigger certain associations is called sensory branding. We live in a society in which sight is the most important sense, so visual stimuli are the most popular way to generate certain feelings. Not long ago, we wrote on our blog about the use of mobile apps in the cosmetics and perfume trade. Smartphones are not, though, the only platform that can use modern systems which complement the main product. The market for new technologies in packaging is developing rapidly, and there is no shortage of new solutions, many of which could be successfully applied to the cosmetics and perfume trade. 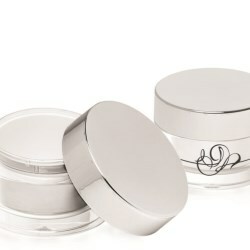 When thinking about packaging for cosmetics and perfumes, we typically imagine bottles, cream jars, caps and cartons. While they constitute important protective elements for the contents, the protection of the packaging is just as important during the process of manufacturing, storage and transport.